SuperMag 7C+ HD - 7 Color Portable Video Magnifier - 4 Hrs. of Battery Use! 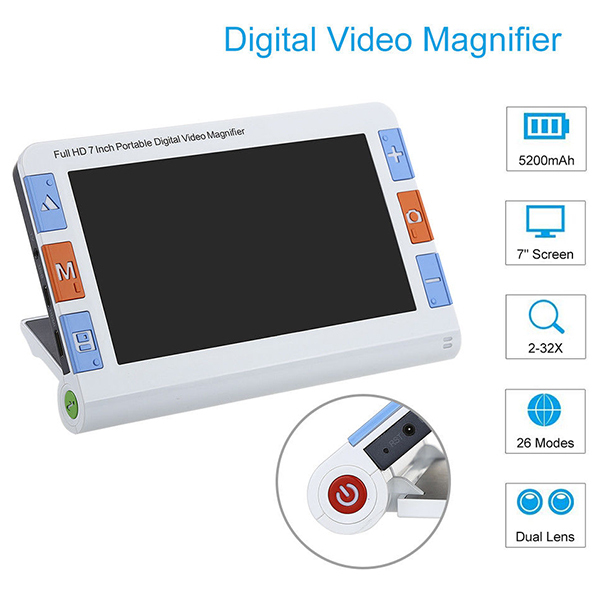 SuperMag 7C+ HD - 7" Color Portable Video Magnifier - 4 Hrs. of Battery Use! This product will offer someone low vision a great experience in reading and writing with Macular Degeneration or Low Vision. 17. support music play function, with it, elder and low vision ones can also enjoy the relax and happy reading during drinking tea, no problem anymore. Warranty: Covers a limited one year manufacture warranty on defects. Does not cover surge, spike and lightning damage.